The procedures highlighted below are just a few of the services we provide. 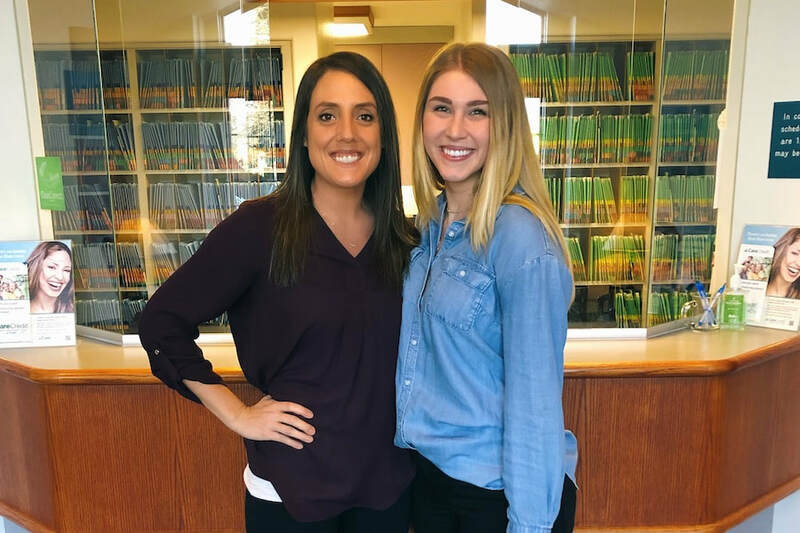 We also offer extractions (including some wisdom teeth), cosmetic dentistry (including veneers), various levels of sedation, Clear Correct clear aligner braces, and sports guards. 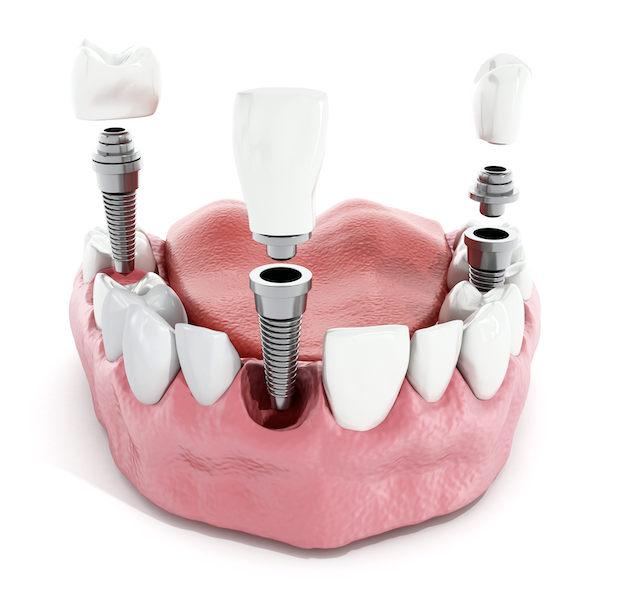 ​A dental implant is a titanium post designed to replace missing teeth. The post is surgically placed into the jawbone where the tooth is missing. Implants provide a more permanent solution that looks and feels more like your natural tooth although there are important distinctions to note. With a success rate approaching 98% in healthy, well cared for patients, and the potential to last for your entire life, dental implants, in many cases, are now considered the “gold standard” for replacing missing teeth. While they are not right for everyone, many people can benefit from this treatment modality. Poor health, smoking, and diabetes increase the risk of complications and this may prohibit candidacy for implants. ​At Rabe Family Dentistry we work with a surgeon to coordinate placement of your implant. 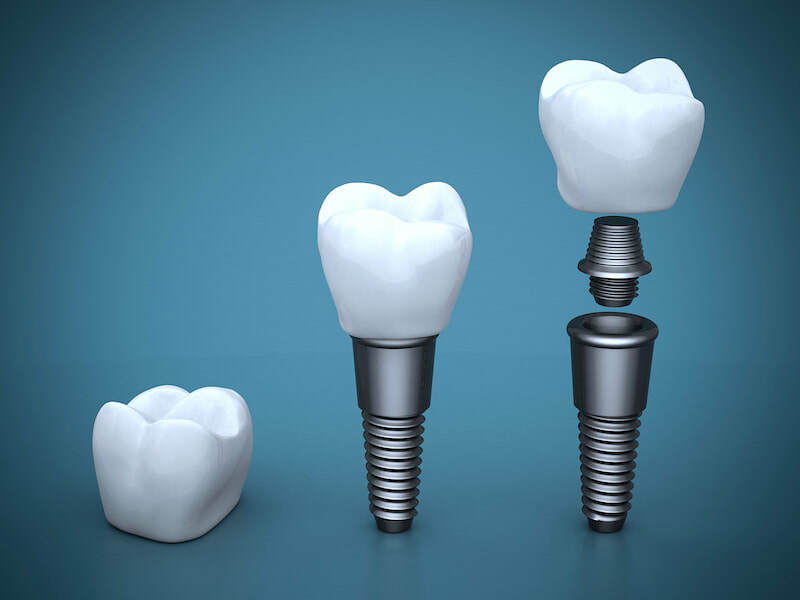 After the titanium implant has fully integrated into the bone, which usually takes three to six months, we restore the implant with a crown or a bridge, or use it to attach a removable denture or partial. Many patients have experienced vastly improved quality of life by adding implants for their denture or partial to attach to. Brushing, flossing, and regular dental visits are all necessary care for implants, just like natural teeth. 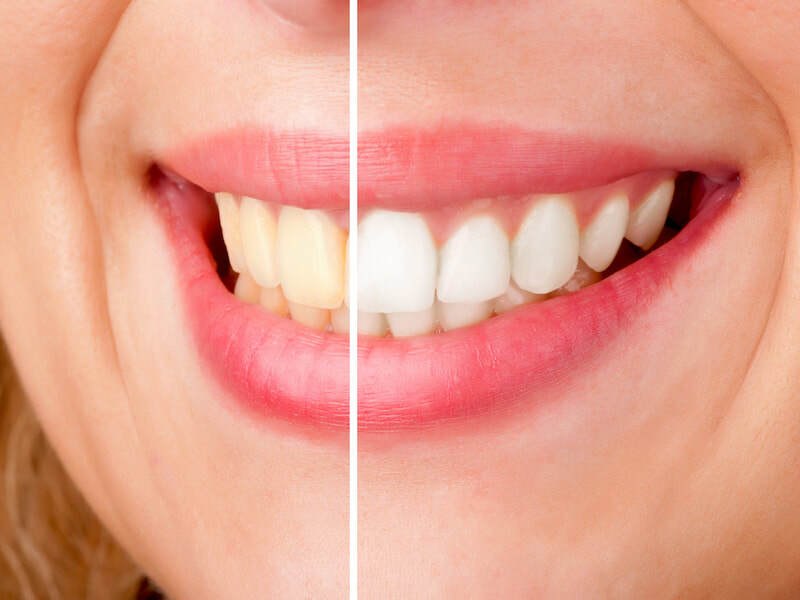 Whitening your teeth is one of the easiest and most noticeable changes that you can make to improve the appearance of your smile! 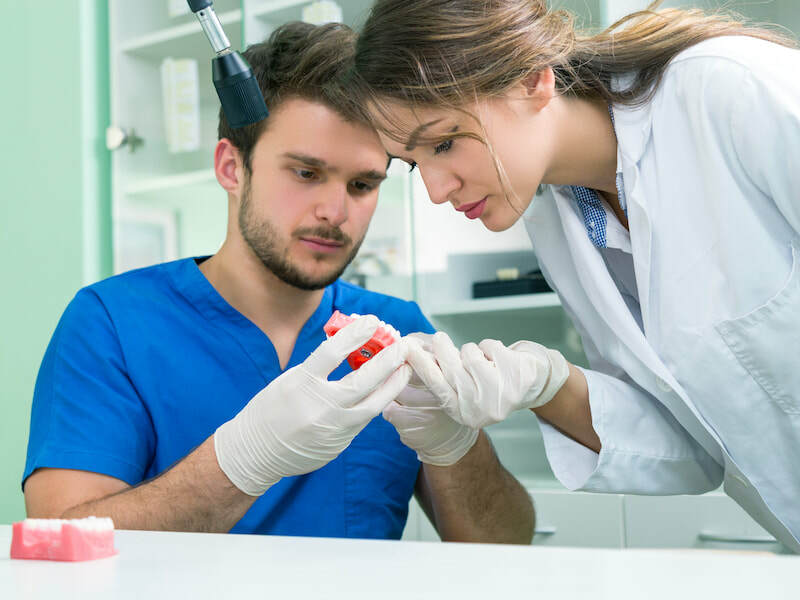 It is a simple non-invasive treatment that will alter the color of your tooth enamel; however, it should be noted that it will not change the shade of existing restorations such as fillings or crowns. As a result of the popularity of this treatment there are many options available. Dr. Brad and Dr. Stefanie can discuss these options with you in order to achieve your desired outcome of a whiter, brighter smile! The most popular option is a set of custom trays for at-home use. You will generally need two appointments for this. 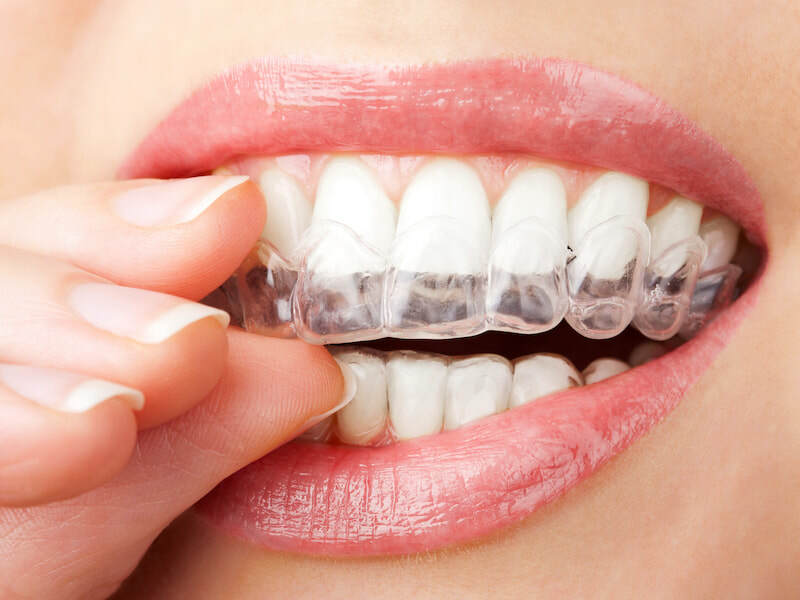 At your first visit, we will take molds of your teeth to create customized plastic trays to hold the whitening solution. 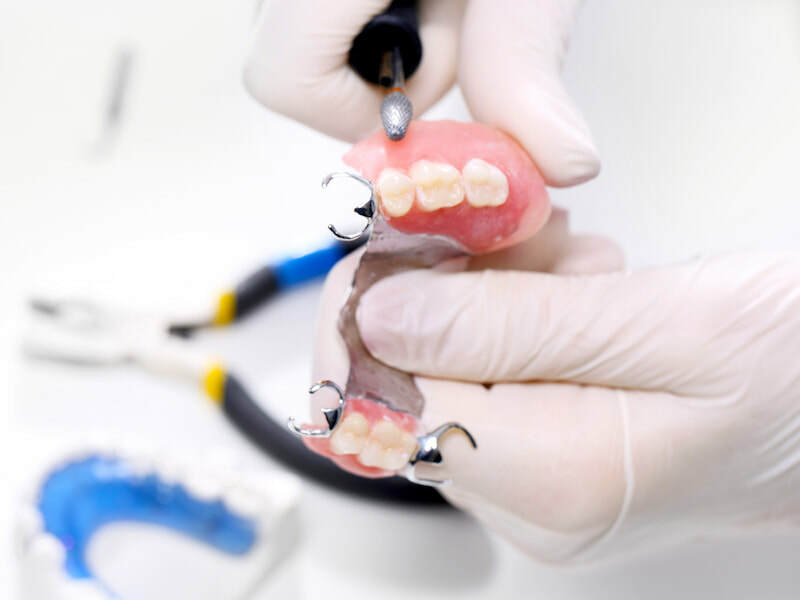 After your trays have been fabricated, you’ll have a second appointment where we’ll make sure they fit properly. You’ll receive instructions on how to use the trays for optimal results! It is important to remember that whitening isn’t a permanent procedure and that food, beverage, and smoking can affect your results. Additionally, you will need to touch-up periodically in order to maintain the new color. Some people experience transient sensitivity with bleaching. Fortunately, this is usually short-lived. If you feel you are having a problem with sensitivity, we are available to discuss options for dealing with this. Some possibilities include a change of toothpaste or a special gel that be used in your custom trays! When natural teeth can’t be saved, dentures are an option. They replace all upper and/or lower teeth. Dentures are approximately 15-40% as efficient as natural teeth in chewing. They are a last choice to replace teeth, as many patients find they aren’t ideal. One option that makes dentures more tolerable is to have them retained by implants. Sometimes, implants can even be placed in the jaw after a denture has been in use for several years. If you find that your dentures are loose or uncomfortable, a consultation with one of Rabe Family Dentistry’s dentists can help you find the solution that is right for you. It is important to note that just because you have or need dentures doesn’t mean you’re done going to the dentist. On average, dentures need to be relined every two to three years and replaced every eight years. Dr. Brad and Dr. Stefanie will evaluate the soft tissues that support your dentures and do an oral cancer screening during your examination. We’ll also clean your dentures for you! For patients missing several teeth, partial dentures can be the right solution when dental bridges or implants aren’t an option. Partial dentures serve a similar purpose to dental bridges, but unlike a dental bridge, they’re removable. According to the American Dental Association approximately 10 – 15% of adults clench or grind their teeth at night, otherwise known as bruxism. This can cause permanent damage to your teeth, muscles, and jaw. A nightguard keeps the upper and lower teeth from making contact during sleep. Rabe Family Dentistry makes custom nightguards for patients who suffer from bruxism. A custom-made nightguard fits your mouth precisely and is typically much more effective and comfortable compared to inexpensive over-the-counter nightguards sold in stores. ​Rabe Family Dentistry offers a full array of dental care services for you and your family. We're here to care for your overall dental health, from routine cleanings and exams, to teeth whitening, fillings, crowns bridges and dentures. 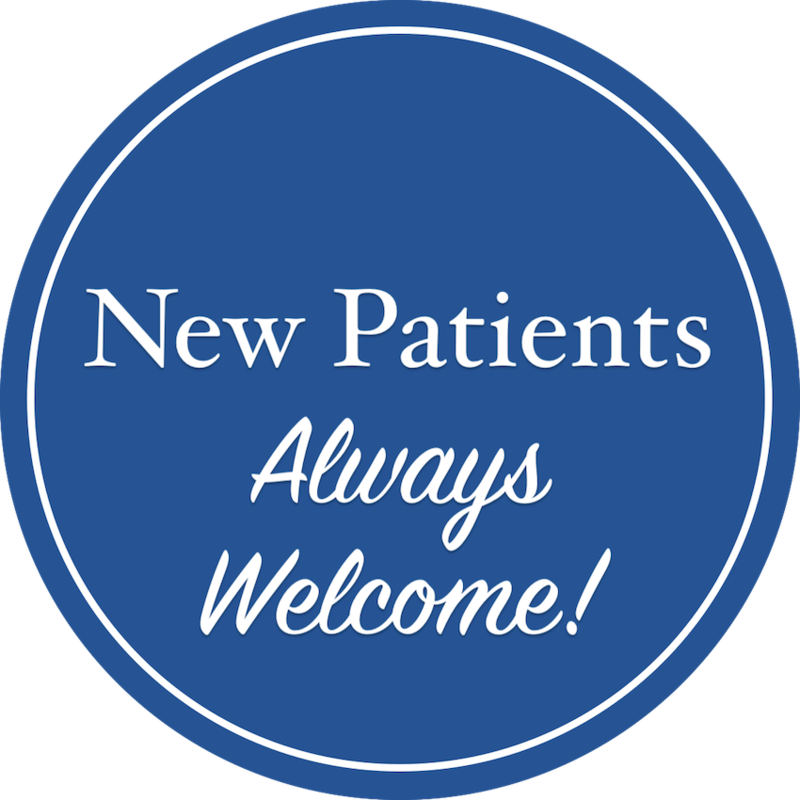 Rabe Family Dentistry is currently accepting new patients and we invite you to learn more about our family dentistry practice. 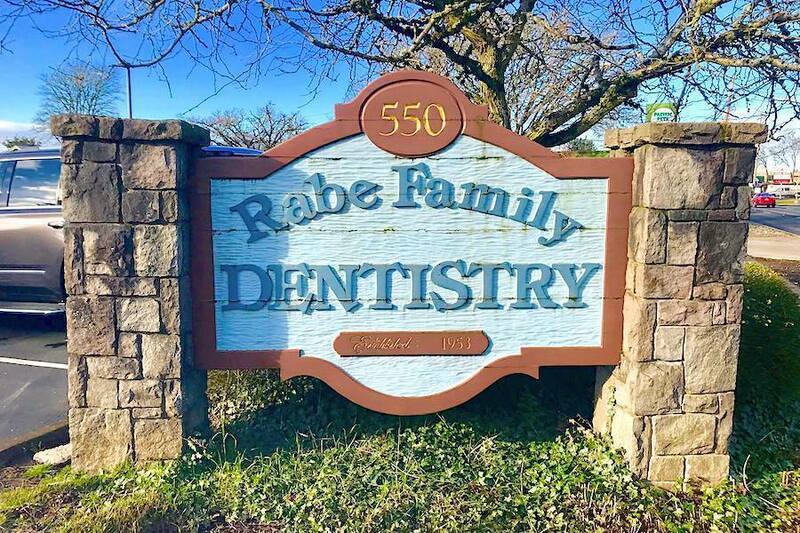 To learn more about all the dental care services we offer, call Rabe Family Dentistry at 503-648-3912 today!